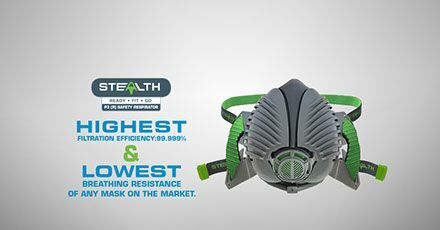 Welders exposed to dangerous fumes and particles, the Stealth ready to wear welder's safety mask has the highest efficiency (greater capture of particulate) and has a very, very low breathing resistance. 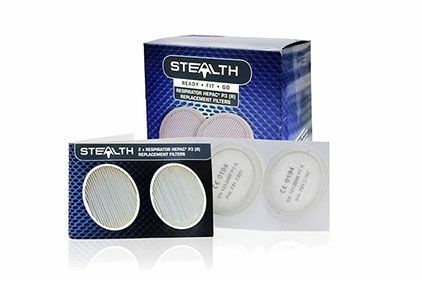 Stealth Welder's safety mask gives "Better than! 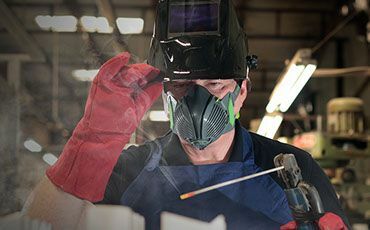 protection compared with disposable masks "FFP1, FFP2, FFP3" No other safety mask has an aerodynamic protection frill to divert microscopic dusts and fumes away from the welders breathing area. The exhalation valve is uniquely placed to reduce or stop the visor or eye wear from fogging over.